In 1992, Sussan Mahjouri established one of the region's first medically-based skin care clinic with the goal of offering the most advanced skin treatments available. 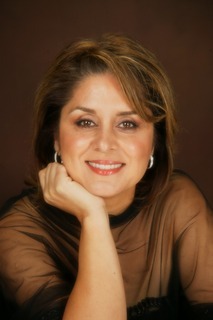 As Director of the clinic, Sussan has overseen its growth and development into the Mahjouri Cosmetic Skin Care Clinic. Drawing on her vast aesthetics experience and education in the medical field, Sussan Mahjouri has integrated medical professionals and licensed aestheticians under one roof, all of whom focus on health, beauty, and the well-being of their patients. Our vision is to provide patients with innovative, safe, medically-based treatments for the skin. Our skin care specialists have been providing quality skin care to men and women for over 20 years under the medical direction of Dr. Mahjouri, Board Certified Plastic Surgeon. Now, as Mahjouri Cosmetic Skin Care, we combine the art of aesthetics and the science of medicine to provide you with the most advanced treatments and products available. A patient favorite, the MicroPeel is a 20-30 minute exfoliating procedure with no recovery time. By first removing dead cellular layers using a technique called Dermaplaning, a customized solution of glycolic, lactic or salicylic acid may be applied. A change in skin texture can be seen and felt immediately. A series of treatments may be recommended to even skin tone and texture, reduce breakouts, and restore your skin's healthy glow. Depending on your individual skin care plan, regular MicroPeels may be prescribed to keep your skin looking its best. iS Clinical offers clinically-proven, superior products; featuring the most advanced technology, and utilizing only the highest-grade ingredients available - thus creating formulas that encourage dramatic physiological improvements in skin health and appearance. Backed by countless independent third-party clinical studies, the performance of the products has been well documented. INNOVATIVE SKINCARE® has assembled a world-class team of experts including renowned pharmacologists, geneticists, biologists and physicians responsible for some of today’s greatest advances in the fields of skincare and anti-aging medicine. Revision Skincare products are clinically proven high-performing skincare products. Using only the purest, most efficacious ingredients, the Revision skincare collection was formulated to provide targeted solutions for enhancing skin's appearance and reducing the signs of aging. Revision skincare products are never tested on animals. Neocutis, a leader in innovative, effective skincare, brings the precision of Swiss technology and cellular therapy research together for scientifically advanced breakthroughs in skincare. PSP is an exclusive and proprietary ingredient to Neocuits. Glominerals is a makeup system uniquely formulated for skincare professionals and their clients. These advanced formulations combine pharmaceutical-grade ingredients, natural high-pigment minerals, and the power of antioxidants. The result is clinically advanced mineral makeup that covers and helps correct and protect. Latisse is a prescription treatment for hypotrichosis (inadequate eyelashes) used to grow eyelashes and make them longer, thicker, and darker. Latisse is the only FDA-approved eyelash treatment and is only available with a prescription from a physician. Contact our office to receive a free consultation. Mahjouri Cosmetic Surgery & Skincare Clinic provides consultation to patients from Fridley, Minneapolis, Anoka, and the surrounding communities. For more information, or to schedule a consultation, call our office today!